DAAR members are ready to see residential opportunities increase in Loudoun County. Our members know that a Plan could be set in place to help address the lack of housing affordability. 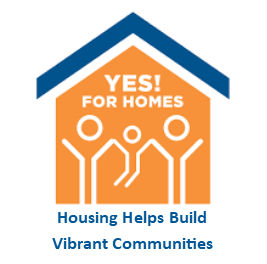 It’s time for you to speak up and support the housing policies and strategies in the draft Plan that will help address the availability and affordability of housing! Sign up to speak at one of the Loudoun County Public Hearings on the draft Loudoun 2040 Comprehensive Plan. The Public Hearings will be held on Wednesday, April 24 beginning at 6:00.p.m. at the Loudoun County Government Center and Saturday, April 27 beginning at 9:00a.m. at the Loudoun County Public Schools Administration Building in Ashburn. Just call (703) 777-0200 to reserve your 2-minute spot. Stop by DAAR on Monday, April 22, 2019 from 9:00-11:30a.m. to practice your remarks and gain insight into public speaking before the Loudoun County Board of Supervisors. Supervisors are hearing a lot from people who do not want another home built in Loudoun County. People who oppose future residential development are mobilized and they are vocal. Don’t let others decide to close the door to Loudoun County’s future.